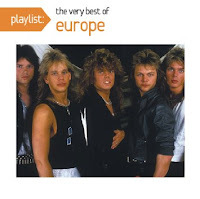 The Swedish hard rock group Europe scored two big hits in 1986. The first was The Final Countdown and the second was the power ballad Carrie. Both were top ten hits in the US. Carrie was the bigger hit in the US and The Final Countdown was the bigger hit in Europe. But both songs were big enough to keep this band going so that they are still around today. The lead singer, pianist and main songwriter of Europe is Joey Tempest (born Joakim Larsson Aug. 19, 1963 in Stockholm, Sweden). The band was called Force when they were formed in 1979. Other members were guitarist John Norum, bassist Peter Olsson and drummer Tony Reno. They sent out demos and record companies told them to cut their hair and sing in Swedish. John Leven replaced Olsson. 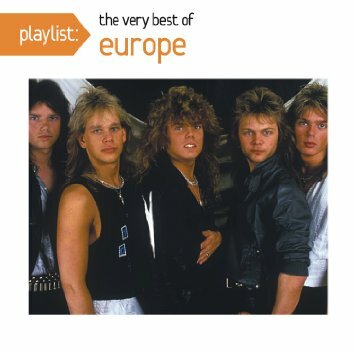 Tempest changed the band name to Europe after the Deep Purple album Made In Europe. They won a talent contest and that got them a record deal. They recorded two albums and then signed with Columbia Records. Tony Reno was fired for unreliability and replaced by Ian Haugland. They also added keyboard player Mic Michaeli so Tempest could concentrate on singing. The 1986 album The Final Countdown was recorded with Journey producer Kevin Elson. The single The Final Countdown was a number one hit in the UK and other European countries. It reached #8 on the Billboard Hot 100. Carrie reached #3 on the Billboard Hot 100. The album The Final Countdown was certified 3XPlatinum. This was the height of Europe's career. They never had another big hit single. And by the early 90s their albums weren't selling either. So they went on hiatus in 1992. You can get all their hits on this budget comp. Europe reformed in 2003 and they are still around. Their latest CD War Of Kings was released last year. They just finished a US tour. Maybe you saw them in a recent GEICO commercial. Here's the video for Carrie by Europe.